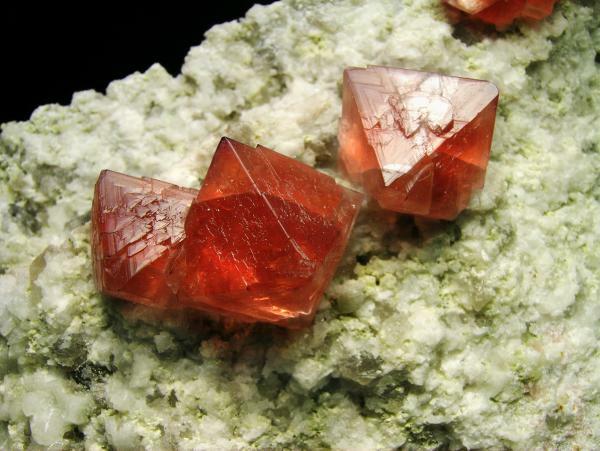 Comments: Red-orange octahedral fluorite crystals on an albite matrix with well defined edges and faces. Location: Pointe Kurz (3600 m altitude), Mont Blanc Massif, Haute-Savoie, France. Scale: Crystal size is 2.1 x 1.5 cm.